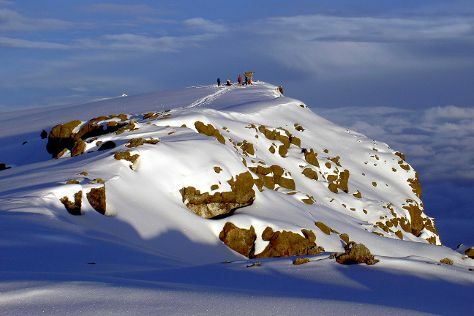 Start off your visit on the 24th (Sun): take in the awesome beauty at Mount Kilimanjaro. Find out how to plan Kilimanjaro National Park trip without stress by asking Inspirock to help create an itinerary. Cairo, Egypt to Kilimanjaro National Park is an approximately 15-hour flight. You can also drive. The time zone difference moving from Eastern European Time to Eastern African Time is 1 hour. Finish your sightseeing early on the 24th (Sun) to allow enough time to fly to Tarangire National Park. 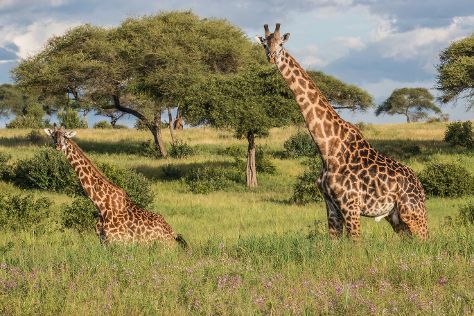 Start off your visit on the 25th (Mon): explore the striking landscape at Tarangire National Park. For traveler tips, maps, other places to visit, and tourist information, read our Tarangire National Park trip planner . Fly from Kilimanjaro National Park to Tarangire National Park in 2.5 hours. Alternatively, you can do a combination of flight and taxi; or do a combination of bus and flight. February in Tarangire National Park sees daily highs of 32°C and lows of 19°C at night. Finish your sightseeing early on the 25th (Mon) to allow enough time to travel to Serengeti National Park. 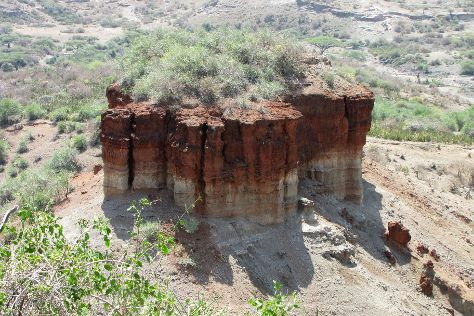 On the 26th (Tue), tour the pleasant surroundings at Serengeti Hippo Pool and then explore the striking landscape at Oldupai Gorge. Get ready for a full day of sightseeing on the 27th (Wed): explore the wealth of natural beauty at Seronera. To see other places to visit, more things to do, photos, and other tourist information, read our Serengeti National Park day trip planning tool . You can do a combination of taxi and flight from Tarangire National Park to Serengeti National Park in 4 hours. Alternatively, you can drive. In February, Serengeti National Park is slightly colder than Tarangire National Park - with highs of 25°C and lows of 11°C. 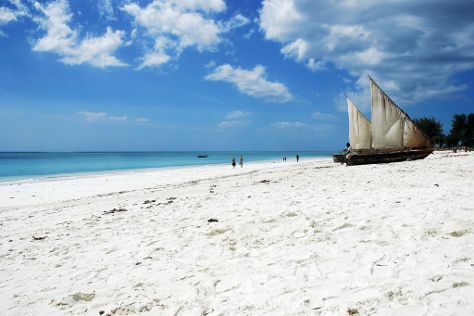 Finish up your sightseeing early on the 27th (Wed) so you can travel to Zanzibar City. Your itinerary includes some good beach time at Nungwi Beach and Nakupenda Beach. House of Wonders (Beit-el-Ajaib) and Hamamni Persian Baths are good opportunities to explore the local culture. There's much more to do: tour the pleasant surroundings at Cheetah's Rock, delve into the distant past at The Old Fort (Ngome Kongwe), look for gifts at Aromas of Zanzibar, and take an in-depth tour of Peace Memorial Museum (Beit el Amani). For where to stay, photos, traveler tips, and other tourist information, go to the Zanzibar City travel route planning tool . Traveling by flight from Serengeti National Park to Zanzibar City takes 2.5 hours. Alternatively, you can do a combination of taxi and flight. Plan for much warmer temperatures traveling from Serengeti National Park in February, with highs in Zanzibar City at 39°C and lows at 29°C. On the 3rd (Sun), wrap the sightseeing up by early afternoon so you can travel back home.